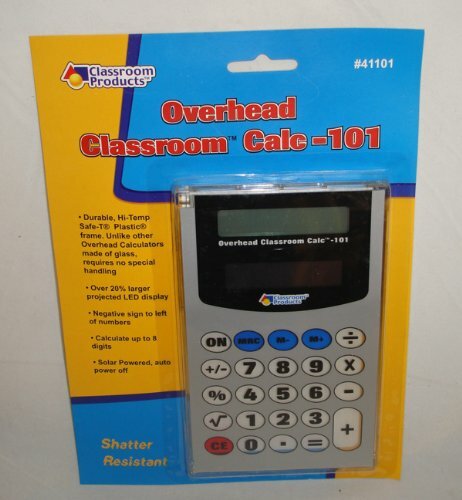 Unlike other overhead calculators that contain breakable glass or low temperature plastic that melts due to the heat from overhead bulbs, this high temperature plastic easily resists this heat even with extended exposure. The calculator has a large viewing area eliminating confusion by enabling students to see clearly from the back of the classroom. It also features large buttons and assists students in understanding all basic primary calculators.